Wetherspoons has reported record annual sales and profits, but warned that prices and costs are likely to rise in the coming months. 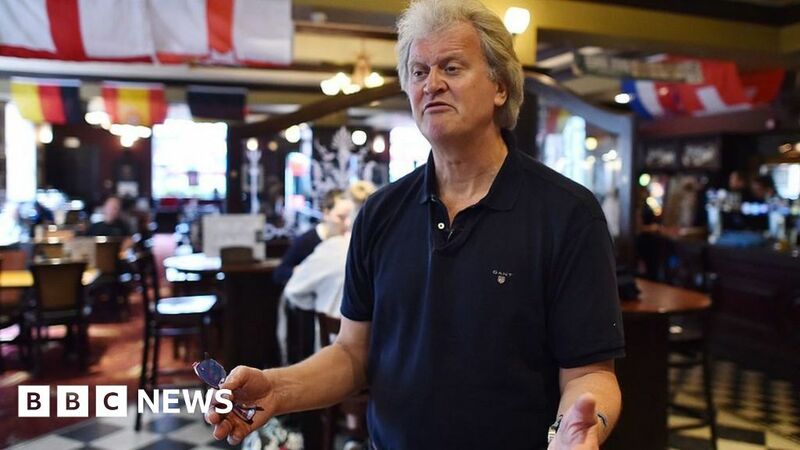 The pub chain led by Tim Martin said like-for-like sales, which exclude new pubs, rose 5% in the year to 29 July. Pre-tax profits jumped 4.3% to £107.2m. Although sales were up 5.5% in the first six weeks of the company’s new financial year, it said taxes, labour and interest costs were expected to be higher than last year. That meant the price of its food and drinks “may have to go up a bit”, Mr Martin told the BBC. Wetherspoons is famous for its rock-bottom prices and no-frills pubs, which do not play music or show televised sports to keep overheads as low as possible. Failing to show the World Cup over the summer meant the chain missed out on a sales boost enjoyed by rival chains such as Greene King, said Neil Wilson at Markets.com. “Growth cooled off over the hot summer – full year sales growth came in at 5% on a like-for-like basis, slower than the 5.2% registered in the nine months to the start of July,” he added. Shares were flat in morning trading at £12.81 – lower than the 2018 peak of £13.25 and valuing the company at about £1.3bn. Mr Martin said Wetherspoons would be opening fewer pubs and admitted it may have added too many second or third outlets in some towns in recent years. The chain has about 900 pubs in the UK. “A deal is a bad thing – if we don’t have a deal and embrace free trade, prices will go down in the shops. “We will be in a much stronger position on a free trade basis that some people call a ‘no deal’,” Mr Martin added. In June, Wetherspoons said it would stop selling champagne and prosecco and replace them with non-European Union sparkling wines.